This is a timeless message that may help correct whatever wrong custom is being followed to get to the marriage altar in any country in the world. The use of this central Bible truth shows that some countries have moved to the left of God's plan while others have departed to the right. 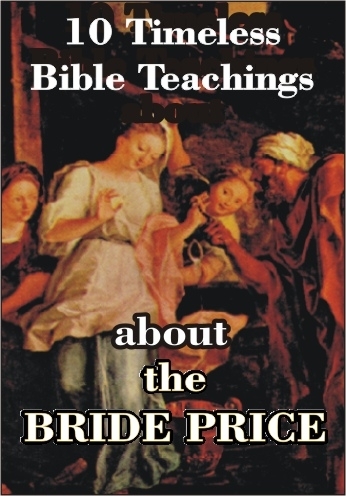 The Bride Price was the first and foremost of three different earthly gifts that are related to marriage. It also intricately ties in with the way God views human life. God's viewpoint is that people are either "not betrothed," "betrothed," or "married." 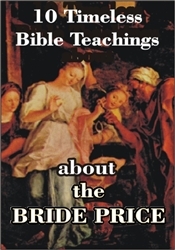 The Bride Price may be a material gift, but is primarily the self-sacrifice of the young man. Paying this price accomplishes several things for both the young man, his betrothed, and their families. The primary thing it does, however, is to give to the bride-to-be a feeling of great worth.